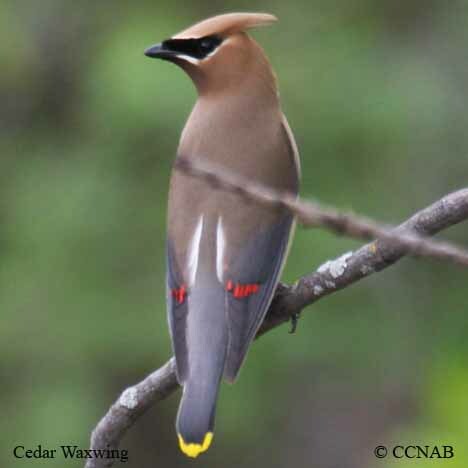 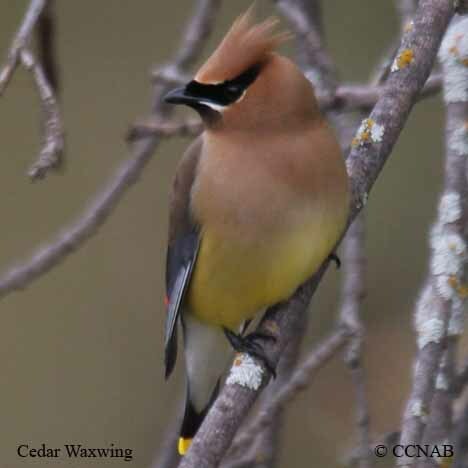 The Cedar Waxwing calls sound like a bicycle bell. 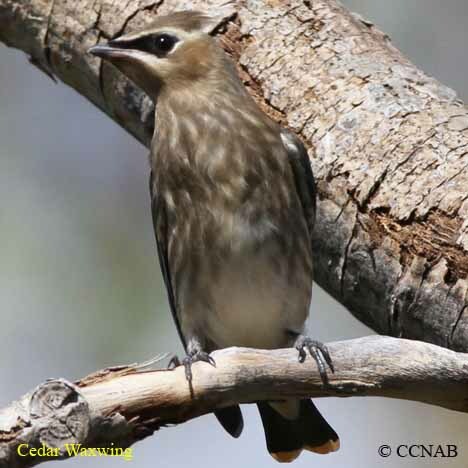 It has a crested head and very smooth feathered body. 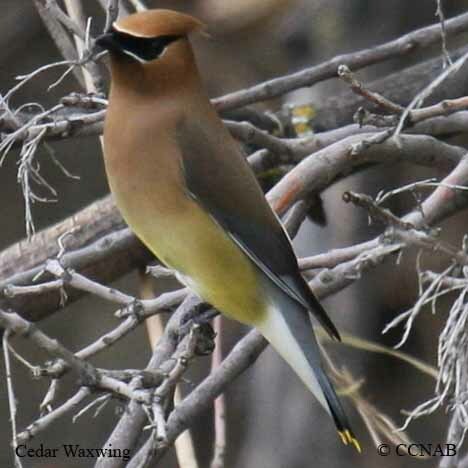 This bird will nest later in the summer than most bird species. 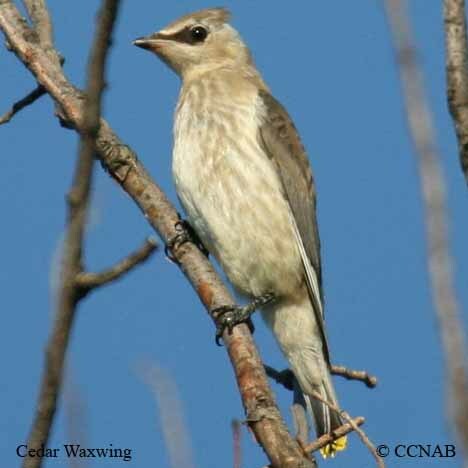 The adults plan for this, the parent will wait for the berries and cherries to become ripe, in order to feed and raise their young.